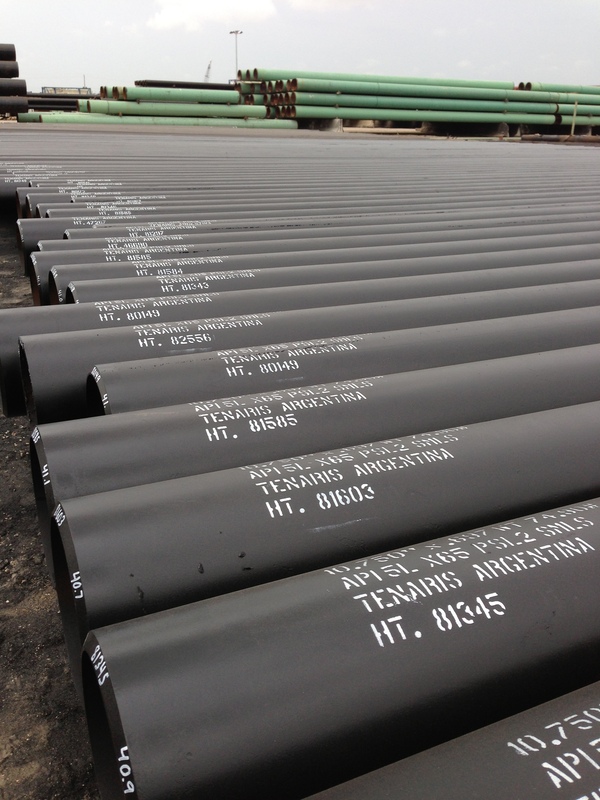 Omega Steel is a full service stocking distributor of API, ASTM/ASME, and new surplus carbon steel pipe, specializing in heavy-wall and odd-ball sizes. Being strategically located in both Houston and Saint Louis gives us the ability to be price competitive all throughout North America. Our access to inland and ocean ports as well as our private rail spur gives our customers across the globe the luxury of shipping by any means desired. And, by having all the compliments of a full service center, Omega can recondition material for anyone as well as provide the light fabrication work which gives our customers the bottom line edge. Omega Steel began as a small used pipe brokerage in 1980, selling mostly casing and structural material. By 1986, Greg Semmel (Omega Steel President and founder) had developed a loyal enough customer base and the necessary inventory to open the company's first stocking and service center in north St. Louis city. Having a first rate service center and ample storage space gave Omega the opportunity to focus on stocking the heavy-wall and odd-ball sizes around which Omega built its unique image. Over the following decade Omega honed its skills as a secondary heavy-wall pipe supplier and in 1997 decided to jump into the prime market through it's new sister company Premium Pipe, whose focus would be on prime heavy-wall APIX56-X70. That same year, Omega announced its purchase of Sligo Steel; a structural steel supplier since 1843 and St. Louis historical landmark. With three distinctly different branches, plus the addition of a new pipe facility in Houston and St. Louis (a fire at the original facility forced a move to a new warehouse in the St. Louis metro area) Greg Semmel set to developing a new administration and sales team strategically designed to complement all three branches plus the service center. From two guys with a phone and no office, to a 30,000 plus ton inventory in three states representing more than sixteen mills supported by a sales team twenty strong, Omega has evolved into one of the most versatile and trusted steel distributors on the continent. Having a clear long term vision and making constant strides toward that vision while maintaining the daily flexibility to adapt instantly to changing market conditions is a skill deep rooted in Omega's organizational philosophy. Through our internal continuing education program and commitment to evolving with our customers' ever changing needs, those doing business with Omega Steel can always count on us to be an industry leader and innovator in service, price, and of course product quality. We look forward to the challenges and opportunities of the twenty first century as we do our part to advance our industry.